Willacy Horsewood have been established since 1989. They provide a full set of architectural services to client throughout the North West and North Wales. Our client approached us when they experienced issues with their old website. They asked us to supply a new site that they could add content to themselves. They also wanted a site that would support them in achieving better search rankings. 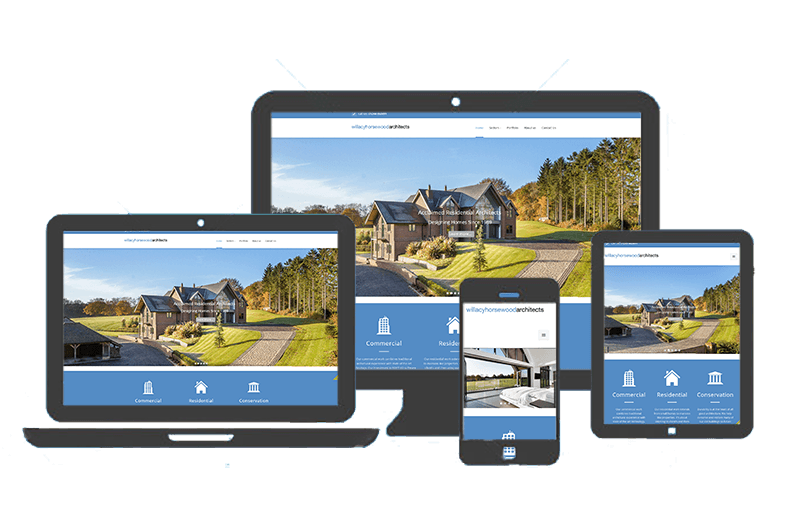 We designed and assembled a new website using Drupal, a high end content management system framework. The new site was up and running within six weeks. We also provided commercial grade hosting services, resolving issues our client had experienced with their previous hosting service. Our client was keen to be more prominent in search results for local architect related search terms. We identified the most useful search queries and ensured key pages of the site were optimised for the chosen search queries. We also researched and advised the client on updating key listings they had in important directories, as well as listings they were missing.